Human Interface Designer at Apple. Interactive Art Direction graduate from Hyper Island. Previously Spotify. 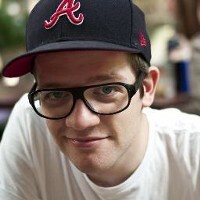 Co-Founder / Designer at Rally Interactive @letsgorally. Passionate about Design, Skis, Bikes, Beer, Mechanical Watches, and Modern Architecture. Hyper Island IAD11 Graduate, Melomaniac & Part Time Geek. I'm also a contributor at www.portable.tv and I HATE sweetener.